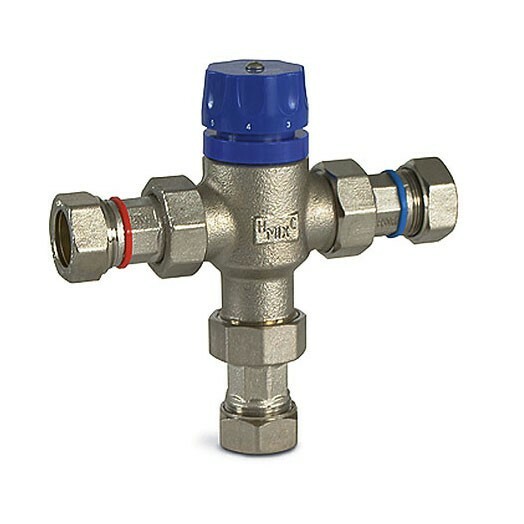 The Salamander HWS-TMV is a thermostatic mixing valve that protects pumps from systems which have uncontrolled hot water systems. 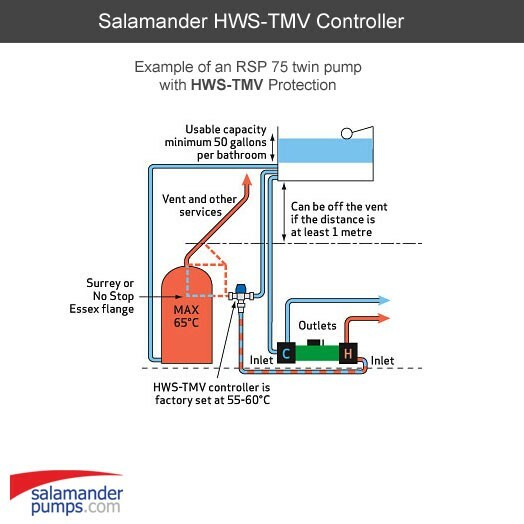 The Salamander HWS-TMV protects pumps from systems which have uncontrolled hot water systems. We recommend this unit is used with AGA, solid fuel appliances or boilers that are very basically controlled by the boiler thermostat. It is to be fitted at the outlet supply of your hot water storage and is factory set at 55˚C - 60˚C. If you require further advice about the temperature protection device or choosing a booster pump, please call our technical department on 0843 658 0062.